The Government has embarked on the expansion of its six universities and two other degree-awarding institutions in a bid to increase enrollment in science and technology disciplines viewed as development shots. The expansion targets enrollment of an additional 35,000 students in science and technology programs at university and over 12,000 students through virtual learning. The five-year program which starts this month include Makerere whose enrollment stands at 40,000, Kyambogo with 25,000 students, Mbarara which has 3,500 students and Gulu whose enrollment is currently at 4,000 students. The other institutions are Busitema and Muni University. The two degree-awarding institutions are the Uganda Management Institute and Makerere University Business School, which jointly have an enrolment of 13,600. The Government has acquired a $101.2m from the African Development Bank (ADB) for the project. Uganda together with the beneficiary institutions will contribute a counter funding of $8.6m. Maria Kiwanuka, the finance minister, signed the loan agreement on behalf of the Government, while Gabriel Negatu, the director for ADB, in charge of the East African Regional Resource centre, signed for his bank. The ceremony took place at the finance ministry headquarters on Friday. According to Kiwanuka, the project dubbed support to Higher Education, Science and Technology (HEST), will address the constraints Uganda has had in human resource development and the challenges of the high unemployment rates. She said that the HEST project will ensure the country’s improved ability for productivity through knowledge and skills and also help higher institutions to tailor programs to the needs of the market. Kiwanuka added that the project will also help Ugandan graduates compete favorably in the regional and international markets. “With the interventions, the expected results include the expansion of equitable access to science and technology, training and research. construction of laboratories, lecture spaces, technology workshops, e-learning centers, virtual libraries, faculty offices and business incubator or production units,” Kiwanuka said. Negatu said the project will increase ICT usage in education and lower infrastructure costs but also increase enrolment among even the vulnerable groups. “The project is designed in line with Uganda’s national development plan which aims at making the country regionally competitive,” he said. Established in 1922 as a humble technical school, Makerere University is one of the oldest and most prestigious Universities in Africa. In January of that year, the school, which was later renamed Uganda Technical College, opened its doors to 14 day students who began studying Carpentry, Building and Mechanics. The College soon began offering various other courses in Medical Care, Agriculture , Veterinary Sciences and Teacher Training. It expanded over the years to become a Center for Higher Education in East Africa in 1935. In 1937, the College started developing into an institution of higher education, offering post-school certificate courses. 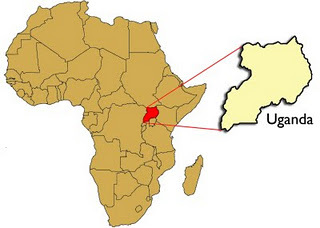 We are located 8 km from the centre of Kampala City, the Capital of Uganda and barely an hour from Entebbe Airport. Kyambogo University is a relatively new University created with the main aim of promoting and advancing knowledge and development of skills in Science, Technology and Education and such other fields having regards for quality, equity, progress and transformation of society. Kyambogo University (KYU) is Uganda’s 3rd public university established by the Universities and Other Tertiary Institutions Act 2001 and the Universities and Other Tertiary institutions’ (Establishment of Kyambogo University) instruments of 2003. It is a merger of the former Uganda Polytechnic Kyambogo (UPK), the Institute of Teacher Education, Kyambogo (ITEK), and the Uganda National Institute of Special Education (UNISE). Mbarara University of Science and Technology also known as MUST was opened in October 1989 after an extensive modification of physical facilitie of the former School of Midwifery at the Mbarara District hospital. In 2001 a Technical Task Force was appointed to set up the University. Because of the insecurity in Gulu at the time, the Team set up a temporary office at Lincoln Flat 4 at Makerere University. The Task Force consisted of Dr. J.H. Pen Mogi Nyeko (Vice Chancellor), Prof. Mary. J.N. Okwakol (Deputy Vice Chancellor), Dr. Stephen Tikodri (University Secretary), and Mr Peter Egwelu (Academic Registrar). The office relocated to Gulu in early 2002. In October 2002 the University opened at the District Farm Institute located on Awich Street in Laroo Division, Gulu Municipality. The University opened with the Faculty of Science Education and Institute Human Resource Development. Gulu University was legally established by a Statutory Instrument No. 31 of 2003. Initially, the University was named Gulu University of Agriculture and Environmental Science and was to specialise in agricultural mechanisation. However, it was later proposed that the University should widen its scope beyond agricultural mechanisation and produce high level human resource that can effectively participate in solving the social and economic problems of the country. It was then renamed Gulu University. From 2002 to 2012 the University steadily increased its intake, faculties and programmes due to the demand to satisfy practical needs nationally, regionally and internationally. The Government white paper on Education (1992) had, as one of its recommendations, the establishment of a public university in Eastern Uganda, to increase equitable access to University Education. In pursuance of that recommendation, a multi- campus university model, with the main campus at the former National College of Agricultural Mechanization, Busitema has been established by Act of parliament, and gazetted as a fully fledged public university under Statutory Instrument No. 22 of 2007. Other campuses are located in different parts of Eastern Uganda at Arapai, Kaliro, Mbale (2 campuses), Nagongera, Pallisa and Namasagali. Busitema University is a multi campus model with the main campus located at Busitema, formally the National College of Agricultural Mechanization, along Jinja- Tororo highway, 25kms South West of Tororo Municipality, while the Nagongera campus is located along Nagongera- Busolwe road, about 21kms from Tororo Municipality. Arapai campus is located along Moroto road, about 10kms from Soroti Town, and Namasagali campus is located along Namasagali road, about 27kms from Kamuli Town. Other campuses (yet to be operational) are located at Mbale (School of Hygiene and School of Clinical officers premises), (Kaliro NTC premises), and Pallisa. Historically, the quest for a public university in West Nile can be traced back to the 1970s when initial attempts by government to establish a public university in the region were hindered by the country’s turbulent past wars. The desire for a government supported university in the West Nile region continued to be expressed in various fora, both within and outside the region. On 11th January 2007, His Excellency Yoweri Kakuta Museveni, the President of the Republic of Uganda met with a delegation of elders from the West Nile Region at his country home in Rwakitura, and the issue of a Public University in the region was brought to his attention in the memorandum presented to him. The President appreciated the request for a public University for the West Nile region and gave a go-ahead for the idea. He advised and tasked the leaders from the region to decide on good professional courses to be pursued at this institution of higher learning. The President’s positive gesture towards a university establishment in the West Nile region was followed by a number of consultative meetings held in Arua and in Kampala. High level of appreciation of Government and enthusiasm for the establishment of a Public university in West Nile was shown. A committee was setup to develop a technical proposal for a public university in West Nile. The technical proposal was completed in July 2007 and presented to the President by the leadership of the West Nile Parliamentary group comprising Moyo, Arua, Yumbe, Adjumani, Nebbi and Koboko districts in September 2007. A number of reasons were advanced to justify the establishment of a public university in West Nile region. Some of the factors, identified were; the remote geographical location with respect to the rest of the centres of Uganda’s economic hubs, the natural barriers created by the River Nile, the inherently limited access to economic resources and high poverty indicators amongst the largely peasant population, and the inequitable share in the distribution of institutions of higher education infrastructure in Uganda. Another factor considered was the recurrence of epidemics like bubonic plague, meningitis, foot and mouth diseases, and hepatitis because of its vulnerable geographical boarder with the Sudan and the Democratic Republic of Congo (DRC), which have undergone years of civil wars and non functional governments. These key constraints undermine the economic progress and access to higher education by a large majority of the youth from the region and require urgent redressing. 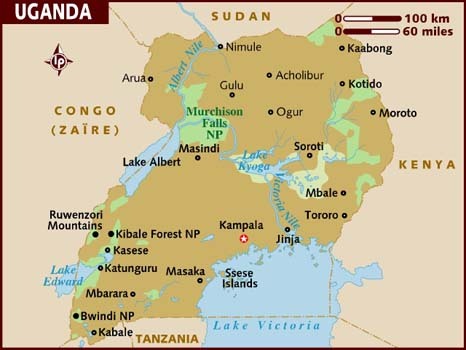 Other factors that reinforce the rationale for an institution of higher learning for West Nile region include the large catchment population of over 50 million (both within and without Uganda) and the ready availability of the basic infrastructures in the existing educational institutions in the region that would provide the launch pad. There is also overwhelming and long-standing desire for a public University in the West-Nile region. Similarly, owing to the strategic location of the region in the context of the Great Lakes Region, the university would offer a unique opportunity for Regional Peace-building interventions, International trade-relations, health, economic empowerment, and educational services as an export commodity. The West Nile region therefore stands in a unique position to export skilled labour to the neighbouring countries by virtue of its geographical placement apart from serving national interests. The proposal for the establishment of a fully-fledged public university thus premised on the above justifications and rationale is in accordance with the procedures for establishment of public universities as set out in the provisions of the Universities and Other Tertiary Institutions Act 2001 as amended. Having been convinced and satisfied with this proposal, the President expressed his unreserved CONSENT for the establishment of the Public University in his letter dated 12th May 2009, in which he directed the Hon Minister of Education and Sports to expedite the establishment of a fully fledged Public University in West Nile region. Following the directive from HE the President, a three person Taskforce Committee was appointed by the Ministry of Education and Sports (MoES) to kick-start the University. The Uganda Management Institute (UMI) was established in March 1992. Its aim is to strengthen the management and institutional capacity of the public, private and non-governmental sectors in Uganda and beyond by offering a blend of short and long courses for middle, senior, and executive level managers; facilitating conferences, seminars and workshops; and providing research, consultancy and distance learning services. UMI is the national centre for training, research and consultancy in the field of management and administration. It has an established vision to be a world class management development institute and a stated mission to excel in developing management capacity. MUBS was established in the 1960s as Nakawa College of Business Studies (NCBS), the national college of business studies. It offered business and management diplomas as well as professional training in business. At that time, the college offered diplomas, the main ones being the Uganda Diploma in Business Studies and the Higher Diploma in Marketing. 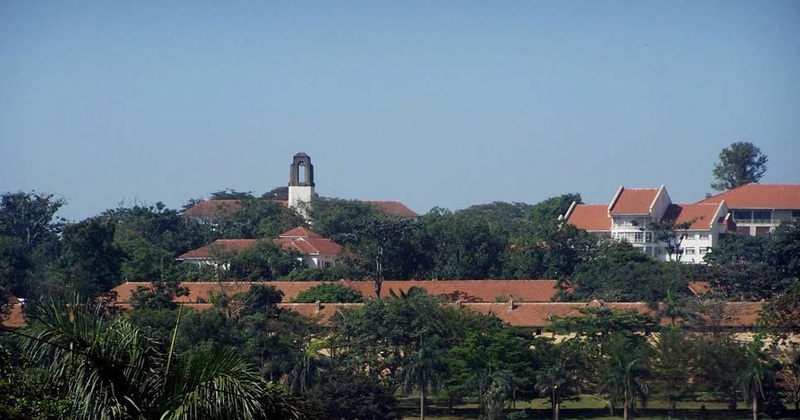 In 1998 Faculty of Commerce at Makerere University was merged with NCBS, thereby creating MUBS, a constituent college of Makerere University. The staff and students of both institutions were brought together at the 45 acres (18 ha) campus at Nakawa, approximately 7 kilometres (4.3 mi), east of Kampala’s central business district. 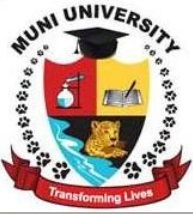 In 2001, due to changes in the laws of Uganda, MUBS transformed from a constituent college of Makerere University to a “public tertiary institution” affiliated to Makerere University. However this arrangement did not work well, resulting in Makerere introducing competing duplicate courses at the main campus, while MUBS started to agitate for complete autonomy. Finally in 2012, the autonomy sought by MUBS was granted by the Uganda Ministry of Education and Sports. The African Development Bank (AfDB) Group is a regional multilateral development finance institution established to contribute to the economic development and social progress of African countries that are the institution’s Regional Member Countries (RMCs). The AfDB was founded following an agreement signed by member states on August 14, 1963, in Khartoum, Sudan, which became effective on September 10, 1964. The AfDB comprises three entities: the African Development Bank (ADB), the African Development Fund (ADF) and the Nigeria Trust Fund (NTF). As the premier development finance institution on the continent, the AfDB’s mission is to help reduce poverty, improve living conditions for Africans and mobilize resources for the continent’s economic and social development. The AfDB headquarters is officially in Abidjan, Côte d’Ivoire. However, due to recent events in Côte d’Ivoire, the institution’s activities have temporarily been relocated to Tunis, Tunisia. Membership of the AfDB Group, as at the end of December 2007, includes 53 independent African countries and 24 non-African countries. Turkey is finalizing procedures to become members of the Bank Group. To become an AfDB member, non-regional countries must first be ADF members. The African Development Fund (ADF) held its 39th Annual Meetings in Marrakech, Morocco, during the 48th Annual Meetings of the African Development Bank Group (AfDB). The fund used the occasion to take stock of its achievements and prospects.